One shouldn’t ignore what doesn’t make sense . . . last week the Russian press reported again that the Baltic Fleet’s PVO units (Kaliningrad’s 3rd Aerospace Defense Brigade?) 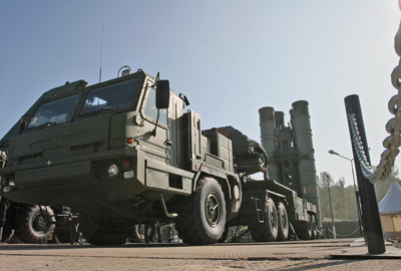 will receive their first S-400 launchers before year’s end. The first report came in August. ITAR-TASS cited a source this time – Baltic Fleet Commander, Vice-Admiral Viktor Chirkov. Chirkov didn’t say how many the fleet will get, but he said the S-400 will replace old S-200 (SA-5 / Gammon) surface-to-air missiles. He says his crews are currently conducting “acceptance-handover” launches, presumably at Ashuluk. It doesn’t seem logical. SAM brigades around Moscow can’t get S-400s on time and Chirkov is talking about putting them in Kaliningrad. And his assertion he’ll get them this month seems odd given the loose schedules and passed deadlines associated with the program. President Medvedev just finished saying one measure against European missile defense would be deploying the S-400 to protect SYaS. But SYaS aren’t based in the Russian exclave. It seems Medvedev would’ve announced it if the military intended to put the new SAMs in Kaliningrad. Are S-400s going to intercept SM-3s launched from Poland? Are they going to protect Iskanders in Kaliningrad? We’re left waiting to see the logic (and truth) in these reports. Of course, there doesn’t necessarily have to be a logic compelling or sensible to outsiders.